As a parent, it is important to understand that your child’s early years are crucial in their development. 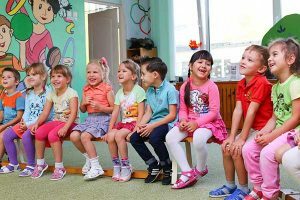 To help them reach their highest potential, you should choose a preschool that will give them well-rounded experiences and allow them to grow in various areas. Children Central, our Langhorne preschool, offers a program that focuses on holistic child growth and development. Not only does our program promote brain development in children; it also promotes emotional development. 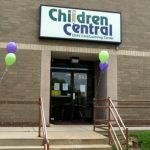 If you are considering a preschool like Children Central, here are seven things that your child will learn in our Langhorne Center. One of the most important things your preschooler will ever learn is the alphabet. This is essential to their pre-reading skills. Our Langhorne preschool does more than just teach kids how to sing the ABC song. Children learn about letters and how these letters correspond with sounds to form words. We will teach them how to recognize both uppercase and lowercase letters. They will also learn to recognize words that are meaningful to them as well as their own names. Numbers are another important lesson that our Langhorne preschool teaches kids. We prepare kids for when they proceed to Kindergarten. This means even if your children are preschool age, they will already be learning the foundations of mathematics. They will be taught how to count and memorize the order of numbers. Then they will also associate numbers with objects as they correspond. Your preschoolers will also learn how to identify and name colors and shapes. This will help further develop their creativity, as well as their language skills. Learning about shapes is also an important step to prepare them for Geometry lessons in the coming years. Before your little ones start Kindergarten, they should have a sense of independence. They should also be comfortable socializing and connecting with their peers and teachers. These are some of the things that they will learn from our Langhorne preschool. Here, they will be given activities that will teach them how to follow simple instructions. Kids will also learn how to work with a group and communicate effectively. This is the perfect time for them to feel confident around others and do activities on their own without their parents. In our Langhorne preschool, we make sure that your kids will love the whole learning experience. It’s not always about academics. Your children will be given more opportunities to learn through play. Play is critical to the development of a child. This is an excellent activity for them to express themselves and their creativity. Through play, they develop better memory, attention, problem-solving skills and language use. There will be a balance between seated activities and play to make sure that your child maximizes learning in our preschool. Children at Children Central will also learn about how the world works. They will be encouraged to observe and explore their environment. They are given the opportunity to ask as many questions as they want to expand their vocabulary and knowledge. Preschool is the best time for your kids to practice their fine and gross motor skills. In our Langhorne preschool, they will get to practice their motor skills by means of helpful activities like making arts and crafts. They will learn how to use scissors for better eye and hand coordination. This is when they can fine tune their grip and finger strength. Gross motor skills are also being taught at this stage, too. 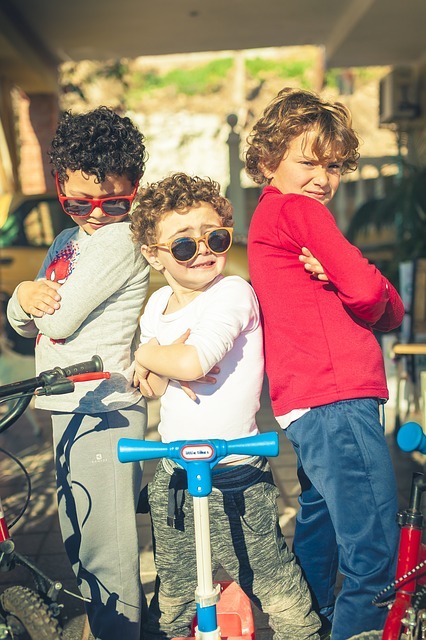 Your kids will be given the chance to have a lot of active play and outdoor activities to enhance coordination. If you are considering a Langhorne preschool for your child, you can be assured that you’re making the right decision. We have a preschool program tailored to suit the needs of your kids. If you’re a panicked parent right now questioning whether your child is going to be ready for kindergarten in the fall, summer school might be the right answer. More and more children are participating in these programs, and their parents see great results. If your child didn’t go to preschool, a kindergarten prep program is even more essential. Below are five important ways that school in the summertime helps in preparing your child for kindergarten in the fall. Children who enroll in a summer program before they start kindergarten often have more knowledge than their peers. Learning the alphabet and how to count, as well as basic math, reading, science and social studies subjects will all be covered in a quality summer program. Your child will have a larger vocabulary and develop the ability to ask questions. This will be of great help in their academic career. These programs will also nurture your child’s curiosity. Parents can help encourage their child by teaching them basic skills at home, like math, and reading to them often. What are steps you can take to prepare your child for kindergarten right now? Kindergarten readiness is an important topic for parents, and it can be extremely overwhelming. 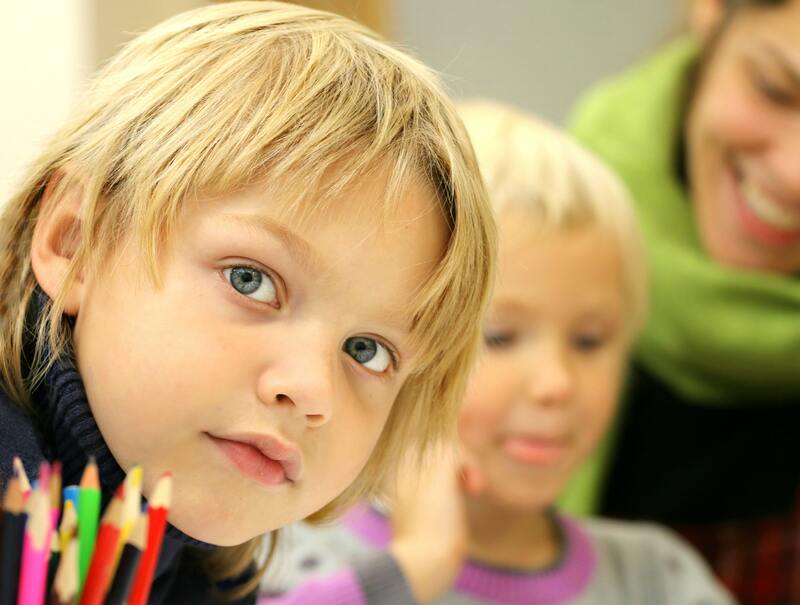 How do you know if your child is ready for kindergarten? There are guidelines that help educators and parents alike understand if a child is ready for kindergarten. Kindergarten readiness can be broken down into various categories: physical, emotional and social, and academic. Academic kindergarten readiness includes math, listening, and language skills. Some of the most important skills on a kindergarten readiness checklist involve your child’s ability to help herself or himself going to the bathroom and getting dressed. If you are not entirely sure where to start, self-help and hygiene tasks can be a starting point. The physical elements to consider are gross motor skills and fine motor skills. Activities that use gross motor skills include running, jumping, climbing stairs, and more. Activities using fine motor skills include using writing utensils and child-safe scissors. Work on gross and fine motor skills by playing outside with your child or having an arts and crafts afternoon on a rainy day! You want that first day of school to be one you will remember as a proud parent for years to come. If your child throws a fit the moment you leave, you may not feel so proud. You can build your child’s social skills by making sure he or she spends time with people besides immediate family members. This can help your child feel comfortable when a parent is not around. Make sure your little one spends time with other grownups. Ask a trusted grownup if he or she would be willing to watch your child so that your child can be comfortable about people who are not parents. 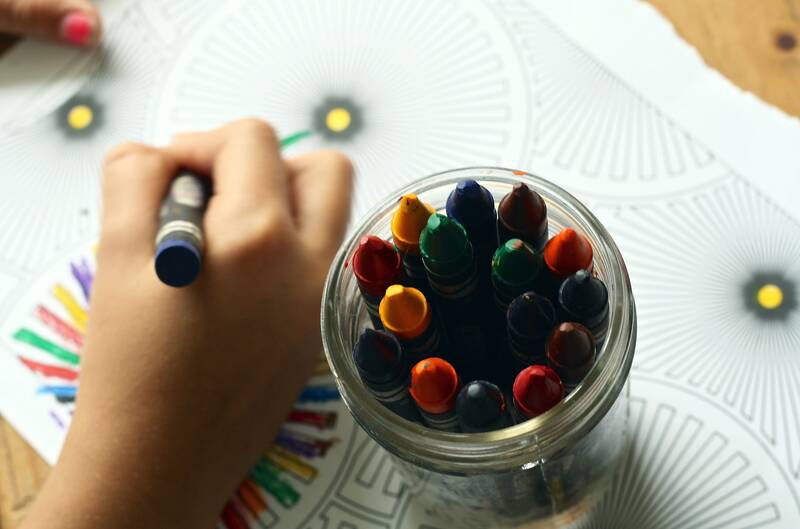 Take advantage of this kindergarten readiness activity by scheduling some “me time” and taking the night off! Schedule a date night or a girl’s night out while your child is with an adult you trust. Teach your child to wait his or her turn by introducing the concept of taking turns into daily life at home. 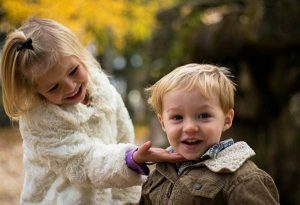 Children learn by observation, so use “please” and “thank you” with your other family members to teach your child to use them. The ability play and share with other children is a sign of being ready for kindergarten. Prepare your child for kindergarten and years in the classroom to come by introducing math concepts and counting. You can practice math skills at home with your child by counting the number of stuffed animals on the bed or the number of carrots on your child’s plate. This category serves as an introduction to teaching children to read. By the time your child enters kindergarten, your child is expected to recognize his or her own name on paper. You can help your child in this area by reading to your little one at bedtime. Your child will start to recognize certain words and sounds. Teach your child how to recite the alphabet and the different sounds each letter can make. These are just a few ways to help your child be ready for kindergarten! The basic language skills for kindergarten readiness focus on a child being able to express himself or herself to an adult using words. Does your child use words to tell you what he or she wants? This is a great start. Extensive research has shown that young children’s minds are flexible enough to learn multiple languages at a young age. Introducing your child to another language with a Spanish class for toddlers can increase your child’s likelihood of becoming fluent later in life. At Children Central, Miss Edivia teaches Spanish for our Preschool and Pre-K classes. Language skills are essential for your child’s success in elementary school, so why not work on multiple languages? Start working on how to teach your toddler how to read Spanish with picture books. You may even be able to get the same books in English and Spanish! Children Central Child Care and Learning Center offers a Pre-Kindergarten class that features the Happily Ever After Reading Readiness Program. This program integrates early reading skills with other forms of language development. Your child will be engaged in reading, writing, speaking, and listening to develop well-rounded language skills and accelerate learning. Our kindergarten readiness activities are multimodal in order to cater to each learning style. Contact us to enroll and prepare your child for kindergarten at Children Central today!